Startups are a necessary part of a healthy economy not only for particular countries, but for the world as a whole. As the infographic shows, the United States is responsible for producing the most entrepreneurial ventures. India, UK, Indonesia, and Brazil round out the top 5 respectively. The government can play a key role in giving its citizens opportunities. In Singapore, six venture capital funds benefited from government money to the tune of $48 million. Finland has offered in excess of $145 million for grants and loans. It isn’t always about the citizens though, as some governments spend money to attract foreign entrepreneurs. Those interested in going to Italy, Spain, or the Netherlands can take advantage of their fast-tracked entrepreneur program. Denmark, France, Chile, and Canada offer startup incubation programs as well. Although dreaming of starting up a successful company may seem like a fantasy, it can become a reality. A number of small companies have gone on to become valued at more than $1 billion in recent years such as Uber, Dropbox, and AirBnB. Some have done so very quickly, in many cases in less than three years such as Groupon, Twitter, and Pinterest. There is a current crop of companies rising to join this prestigious list like DataStax and DoorDash. You never know who will be next. If you have an innovative idea yourself, you should definitely do something with it and take advantage of the resources to help you do so. 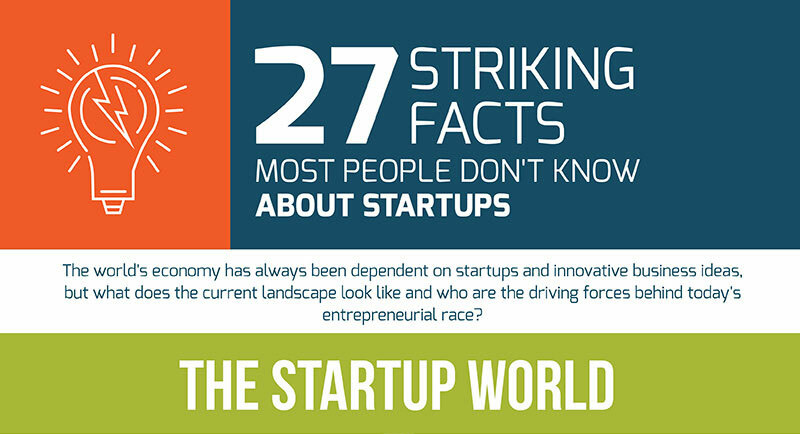 Below infographic is all about those facts about startup world that most people don’t know.